Oh Look, We’re Turning Four! We are coming together on the 29th of March to mark our 4th Birthday, and you are all invited! Adding to the host of community and celebratory events we are notorious for, we’ve found another reason for celebration – us, and our journey in the past 4 years having learnt a lot about ourselves, and the business of coworking. 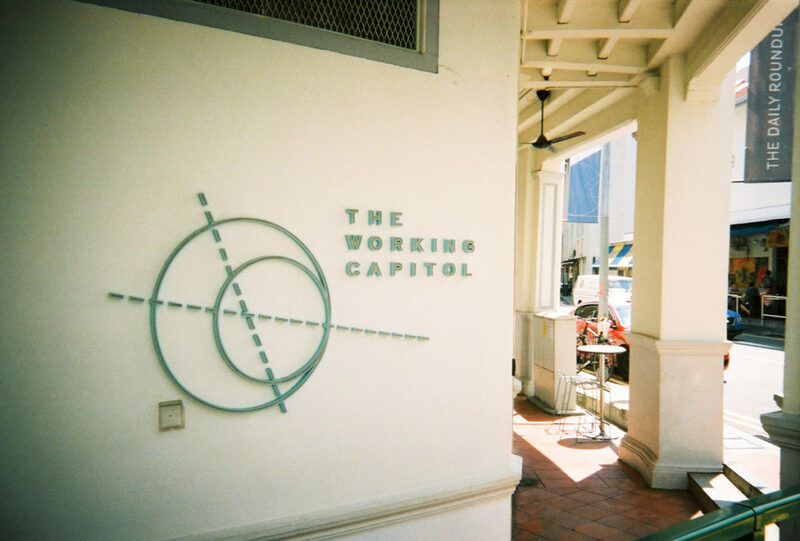 Starting merely with a dream and dogged determination, we at The Working Capitol (TWC) aimed high and far in 2015. Impassioned about removing the drudge of a 9-6 shift, TWC took upon itself the task of creating a community built on camaraderie, care, and collective vision. Pushing against the tide has never been a particularly easy task, but push we did. Standing on the cusp of our 4th Anniversary, we are not shy to say that we are very proud of how far we have come, not just as TWC but with all our partners. Coming together to celebrate this, is what the 29th March will be all about. The TWC journey has been one encompassed by both ebbs and flows, like most things in life; nevertheless, it is a journey that we would not have traded for anything else. As with most powerful things, TWC began with a shared ideal between our Co-Founders Saranta and Ben Gattie, to transform workspaces by attempting to imbue and reinvigorate the “life” in “office life”. With that, their brainchild, a coworking space now endearingly referred to as TWC, was birthed. Starting out in 2015, TWC operationally broke even within the first 6 months of its launch; forever changing the way individuals interacted with the concept of office spaces — ever more so focusing on sustainability and community. As the 2nd year rolled around, we sought to maintain our operations whilst also attempting to value-add to our members. It was during this time where TWC saw a growth in our relationships with F&B and lifestyle partners, inspiring us to create community events to bring people away from their desks and toward each other; celebrations became a part of our spirit. Although growth is often a reflection of positive advances in our business, we are also aware that not all growth is linear and upward. During our 3rd year, with an eye toward expansion, we tried to create a TWC with geographically disparate locations; lessons were very quickly learnt but most importantly we realised that Keong Saik will always be home. Moving forward on this wonderful 4th year, we are ever more driven to entrench ourselves and grow with our beautiful community. Given the ride that we have had, we know no other way but to celebrate it with a big ol’ shindig of a party! Having chosen the theme of past, present, and future, TWC will be transformed to reflect a 1920s gala-style party space; with a little bit of the opulence and a little bit of grunge. We will also have various elements reflecting this theme in the form of curated cocktails and food options. Our partners from Bula will be serving 4 different cocktails marking our 4 different years here at TWC, and the food served will be a celebration of old Singaporean classics with a twist of fusion. You may also help yourselves to our Kachang Puteh bar with our favourite snacks from yester-years. Furthermore, TWC will also be partnering with Project WXY to hold a silent auction, where there will be a host of interesting items and experiences for our lovely attendees to bid on. The proceeds from this auction will go to our beneficiary, the Daughters of Tomorrow; an inspiring organisation that consistently seeks to empower the women of today and tomorrow. The party will also provide us the platform to announce to the larger TWC family of our future partners, and the upcoming perks members will be able to enjoy! Additionally, because we want the party to mean something more, it will start at 7.20pm (1920 hrs) to commemorate the history of the building we all currently occupy. However, we know some of us might want to knock off work a little earlier, fret not! Project WXY will also be having an exclusive preview of their #1920sAF flea, and all TWC members are invited to take a peek and perhaps even do some weekend flea shopping! Isn’t this all so terribly exciting? We think so too! So join us and all our other exciting partners this Friday 29th March for an event to remember, an event to commemorate and celebrate us, our history, and our collective futures. Do RSVP at www.twcevents.com, and if you like how we run a party, tell us and get 10% off your next event booking at The Working Capitol.